The State of Florida offers much more than initially meets the eye. Much more than just theme parks and Walt Disney, Florida has areas of outstanding natural beauty and a melting pot of cultures. 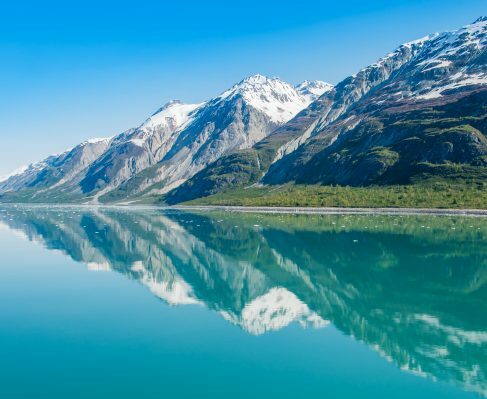 Whether it’s the wilderness of the Everglades or the cosmopolitan hub of Miami, there are many opportunities to enjoy the perfect charter vacation in this part of the world. Nikki Beach Miami is a celebrity hotspot, famous as a playground for the young (and young at heart), while Palm Beach offers a glamorous place to relax and soak up the sunshine. Latin influences and Art Deco inspiration can be found in numerous parts of Florida, and the never-ending coastline is filled with super yacht friendly marinas and secluded coves, ideal for a breath-taking charter vacation. You’ve never seen Florida like this—outside the gates of Disney World, beyond the quiet retirement communities lays natural beauty. Only a luxury yacht charter can privy you to Florida’s Everglades, home to both elegant and fearful creatures. There are beaches that stretch for miles, fading into the pastels of a brilliant sunset. And cities with steamy nightlife, glittering skyscrapers, plus food born from a cultural melting pot. When Spanish conquistador Juan Ponce de León first stepped foot on the jutting peninsula in 1513 he called the land la Florida, Spanish for “land of flowers”. With the Spaniards arrival, so began the era of the American Frontier. 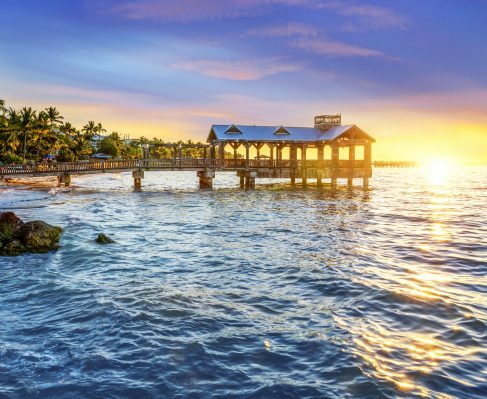 Land of flowers, land of the Everglades and the Sunshine State, no matter what it is termed, Florida was always destined to be one America’s most significant states. While everyone else is off flocking to Disney World, you will see beautiful nature at the Everglades National Park. Great blue herons, brown pelicans, roseate spoonbills, egrets, freshwater turtles and plant life truly unique to Florida resides in this protected park. Here, Florida shines through its delicate yet formidable glades, with scenes so striking in perfection, it feels something akin to a postcard. Miami pulsates to its thriving nightlife, dances to its electric music, boldly displays its arts, and fills its air with the aroma of its irresistible ethnic foods. There’s no other city like Miami, the heartbeat of South Florida. 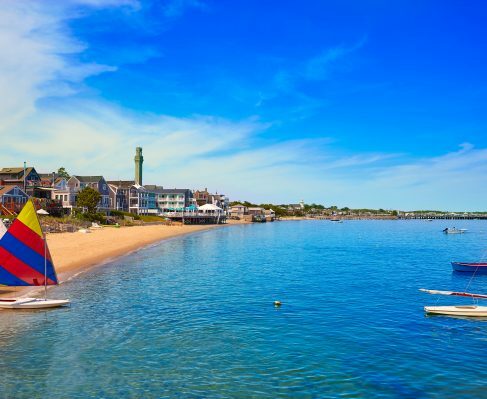 At night, it lights up like a million gleaming stars, and during the day, the city is wrapped in its heat, next to ice blue waters, filled with racing boats. 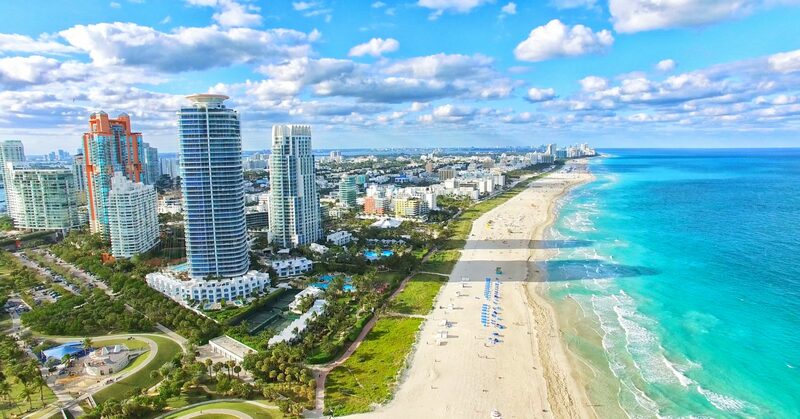 Journey to South Beach, or SoBe, as the locals call it, where wide beaches welcome you beneath the hot Miami sun and its Art Deco District tantalizing your cultural tastes. Shop on Lincoln Road mall, or at the famous Bayside Marketplace where the City of Miami marina sits nearby. Bayfront Park, Museum Park, and Pace Park are sprawling, manicured parks that ensure the city is well entertained by hosting events and outdoor concerts. Of course, Miami a city that enjoys a good time, so you’ll find plenty of other festivals, performance arts and museums across its cityscape. Its Latino and Hispanic population paint the city with a melding of Latin, Caribbean, and South American cuisine. Restaurants compete for the best, authentic dishes of chicharrón, stone crabs, ripe avocado, and the classic Cuban sandwich, a must-try when traveling the streets of Miami. For dessert, everyone brags about making the best Key Lime pie. The Florida Keys begin fifteen miles south of Miami, forming a gentle arc south. The Keys lay along the Florida Straits, embraced by a climate similar to that of the Caribbean. Here, you’ll find animal and plant life exclusive to the area, and not found anywhere else in the United States. The Keys call to sailing, boating, and yachting enthusiasts, with its plethora of islands and easily navigated, crystal clear waters. Spots like Sanibel Island, Siesta Key Beach, and Clearwater Beach promise its visitors pink and purple skies accompanying a sinking sun. Vizcaya Museum and Gardens await travelers with formal, sculpted gardens, grottos, and a historical mansion turned museum, originally constructed in 1914. It was deemed a myth that Spanish conquistador Juan Ponce de León was in the midst of a search for the Fountain of Youth when he stepped on Florida’s peninsula, and only through a charter to this well-traveled state will you begin to see the myth transform into a reality. The proclaimed Fountain of Youth is very much alive—it lives in the food crafted from familial recipes of Latin lands, it lives in the art that fills Florida’s museums, and it beats in the music that pours out of native artists and permeates the clubs of its cities. You might believe you know Florida, but there’s much more awaiting its travelers. What better way to quench your thirst of natural beauty and cultural influences than by taking sail with a private yacht charter?